I've always really enjoyed building things. 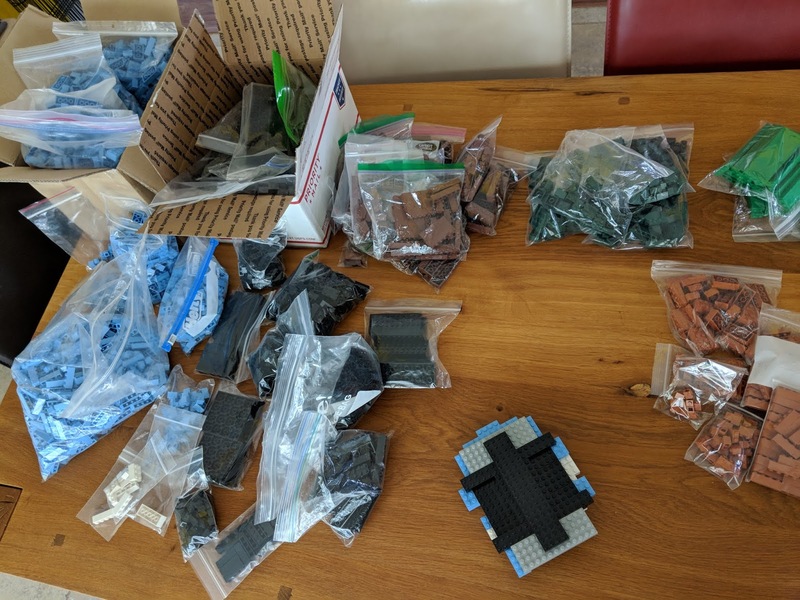 As a kid I had a lot of Lego: a huge box of the stuff. I also made dozens of Airfix kits and recall a giant Millenium Falcon that for some bizarre reason I once decided to see how far it would fly from my bedroom window. It didn't but that's another story altogether. It's a 48-brick wide monster but, beyond the engineering, he made a real effort to get the cartography correct. For me, that was vital (obviously). Dirk offers the plans for sale for an extremely modest price and so my adventure began. 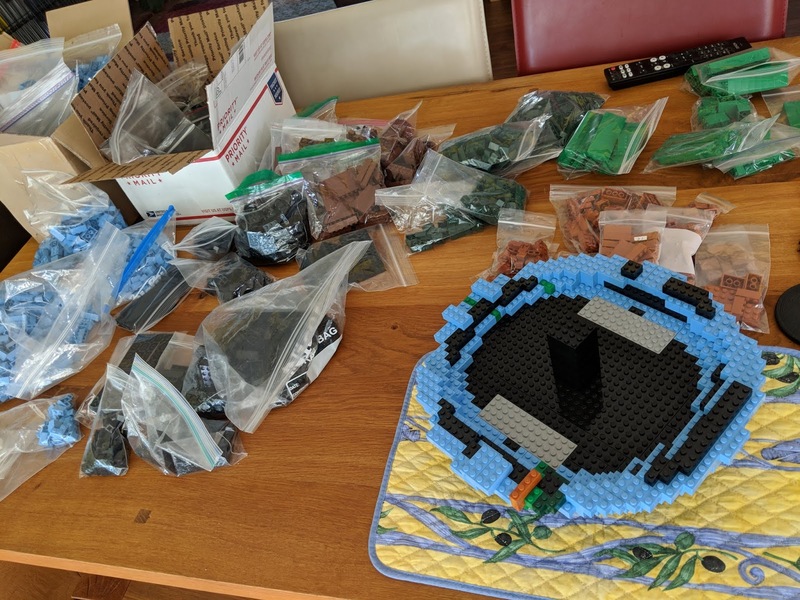 It took around 60 separate orders from Bricklink to collect the >3,800 bricks needed for the build. Some of the bricks are pretty rare and my globe was made from bricks from around 10 different countries as I had to scour the globe to find them all. Our postie wanted to know what the hell I was ordering with all the small parcels arriving, and at one point the mailbox was too stuffed full to fit any more in. 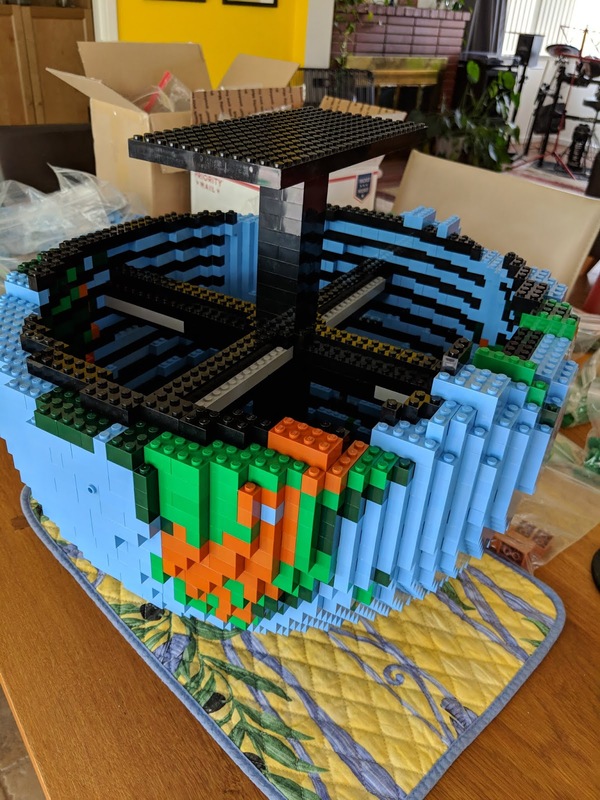 It took probably around 30 hours to build in total and dominated the dining room table for over a month...but it's finished and it is mighty impressive. 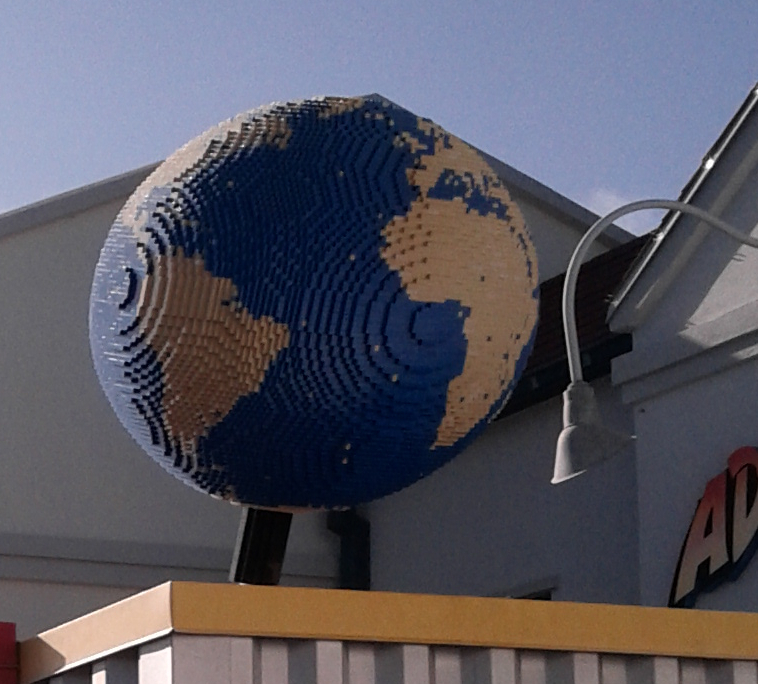 I customised my globe a little differently from Dirk's original but it's ostensibly the same build. I'll leave a few images below of the build but Dirk goes into a lot of detail about the model on his page. It's his work and I'm grateful that he spent the time and effort to make such a wonderful model. I'd refer you to Dirk's page if you want to find out more. 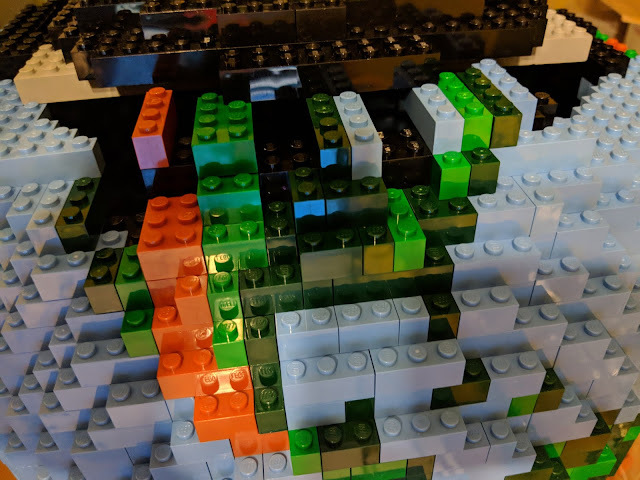 Maps and Lego...so much fun! 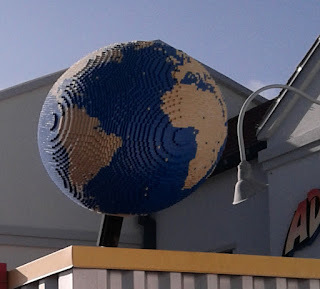 So why don't Lego make a globe set? I've no idea! PS. 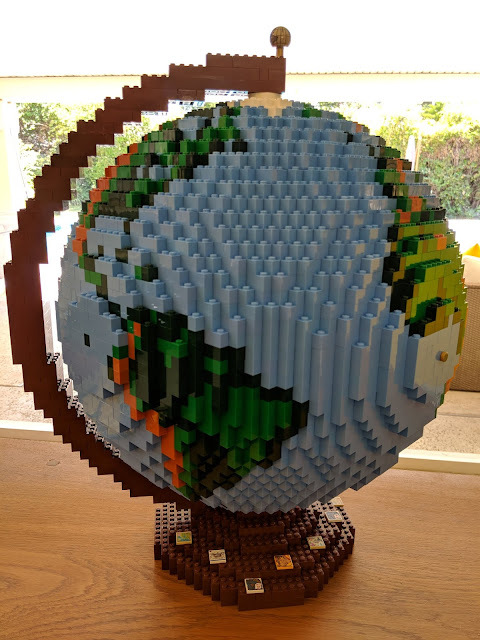 If you're attending the Esri User Conference in San Diego July 2018 then my Lego globe will be on display as part of a Creative Cartography exhibit. Stop by and take a look. There may even be a special Lego minifigure appearance.